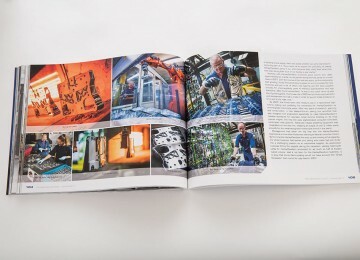 A family entrepreneurship and legacy book that beautifully captures the story of the state-of-the-art manufacturing, industry leadership and perseverance that is KEI. For us as third generation family entrepreneurs, honoring the legacy of the first and second generation was key to our motivation for capturing our story. Having Dr. Frisse and the HBS team guide us with their great expertise made it really easy to enjoy the entire process. And when we saw the final product we instantly knew that it was what we had been looking for all along. In 1946, Oscar Kuntz laid out his dream of starting his own business in a letter to his mother: “I hope I never get too old to dream… because some day those dreams will come true…” They did! 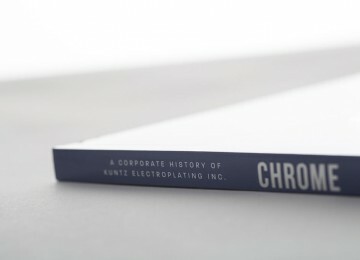 Two years later he founded Kuntz Electroplating. 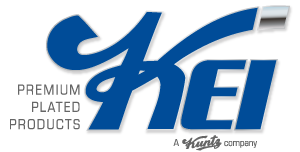 Today, his dream lives on in North America’s foremost electroplating company of global reach and a premium supplier to Harley Davidson. When we first proposed to the Kuntz family to capture their rich entrepreneurial story, our suggestion was met with hesitancy. 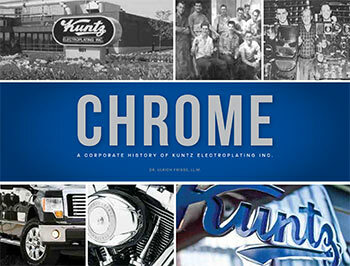 Over 60 years since the company’s founding, there was a definite sense that they had waited too long. Company leaders feared that the gap created by the passing of the first and second generations could not be bridged. 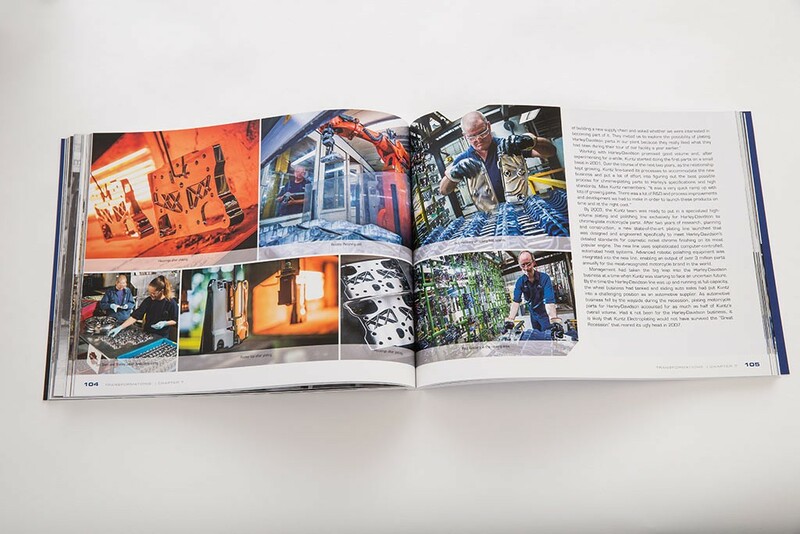 It was through the great stories conveyed to us by the surviving original employees, now in their eighties, that we were able to bring to life the fascinating story of the founding and start -up years. Interviews with family members, present and past employees combined with research in company and public archives allowed us to craft a rich narrative going back to the arrival of the first family member from Europe in the early 1800s. The title of the book, Chrome, conveys category leadership and encapsulates the very essence of the sophisticated processes that define KEI. 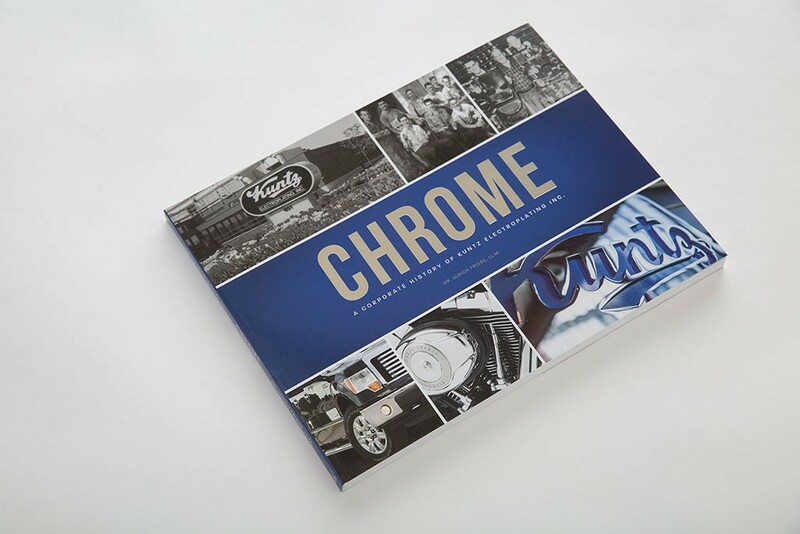 Photography from various community archives adds to this visually and contextually rich, fully branded corporate story created for multiple uses, including the 65th corporate anniversary, legacy preservation, employee engagement, customer relations, and marketing. 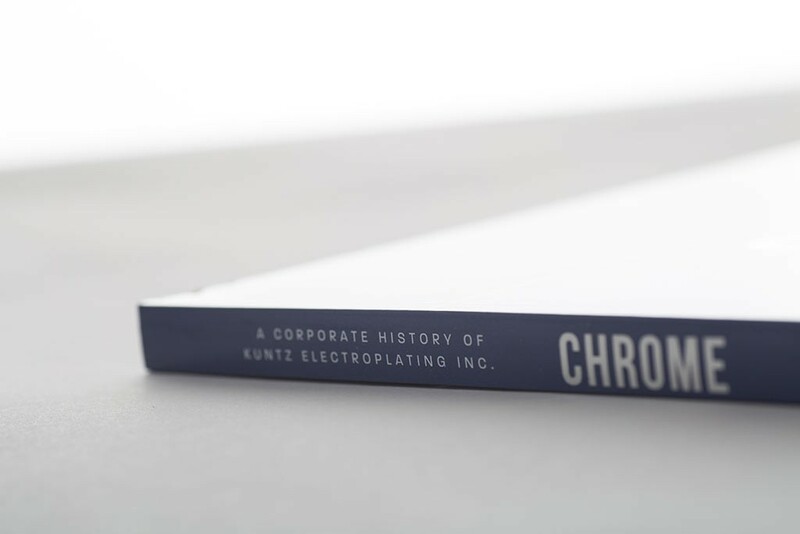 Today, Chrome can be found on coffee tables in employees’ homes, in executives’ offices, and strategically placed across the plant to engage customers, suppliers and other visitors to the facility. Used in many different contexts, it makes for a great conversation piece with potential clients and the community.